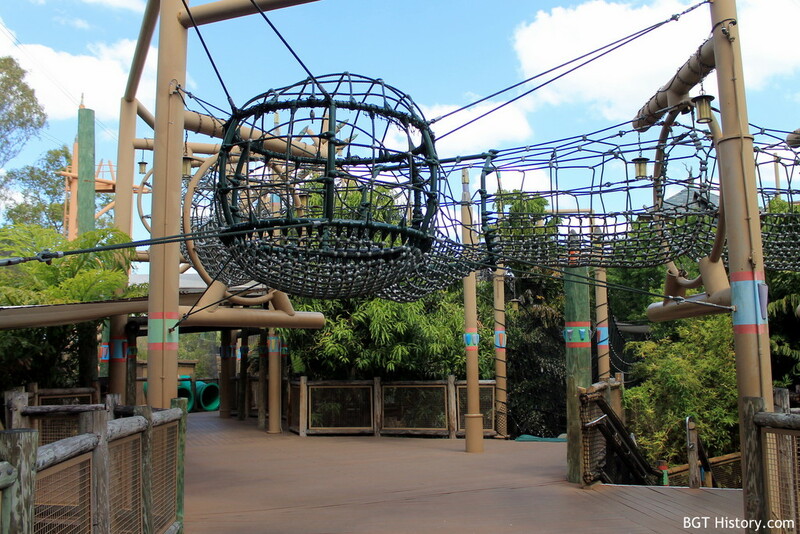 Tree Top Trails is a three story climbing area with a number of nets, bridges and crawl tubes located in the Jungala section of the park. While the original press release and signs within the park list the attraction as Tree Top Trails, on current park maps and on the park’s website it has been shortened to the two-word Treetop Trails. As of February 5, 2018, Tree Top Trails is closed indefinitely. Additional details and images on Tree Top Trails will be added in the future.